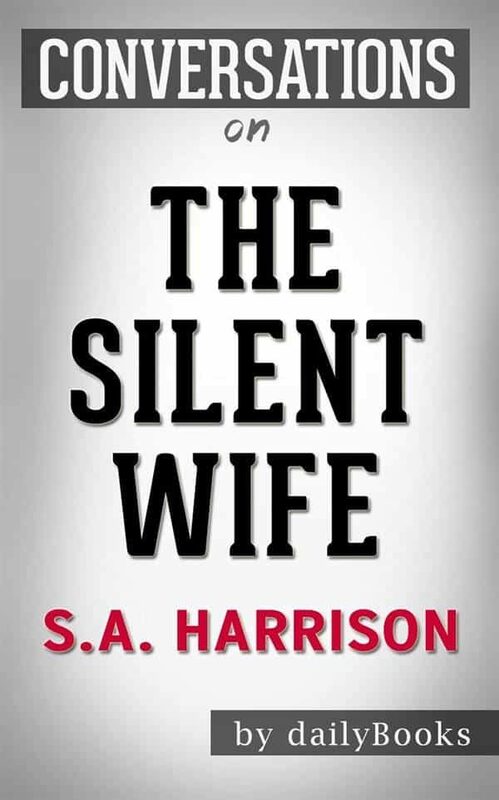 The Silent Wife: A Novel By A. S. A. Harrison | Conversation Starters When her father passes away, Riley returns home to sort out his estate. She wants her brother Danny to help her, but he is battling his own demons. Riley ends up depending on a pushy family friend to help her instead, but soon enough, she discovers that her father had secrets&ndash;big secrets that had changed the family forever without her even knowing anything about it. Her sister Lisa, who had been mourned by her family for years after she committed suicide, turns out to be alive. But what happened? And why? Can Riley find out the truth and bring her lost sister back into the fold? A Brief Look Inside: EVERY GOOD BOOK CONTAINS A WORLD FAR DEEPER than the surface of its pages. The characters and their world come alive, and the characters and its world still live on. Conversation Starters is peppered with questions designed to bring us beneath the surface of the page and invite us into the world that lives on. These questions can be used to.. ??????? Create Hours of Conversation: &bull; Foster a deeper understanding of the book &bull; Promote an atmosphere of discussion for groups &bull; Assist in the study of the book, either individually or corporately &bull; Explore unseen realms of the book as never seen before.